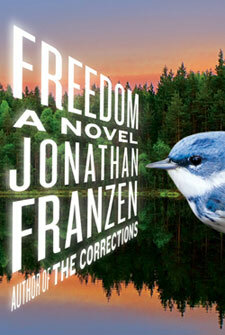 Our first book for the CCR Book Club 2011-12 season is "Freedom" by American author Jonathan Franzen, (2010). This book has been suggested by members Alessandra Tonazzi and Silia Fasciani. The meeting for the discussion of this book is scheduled for the first Wednesday in November. N.B. Our second book for the season will be "The Other Side of the Bridge" by Canadian author Mary Lawson (2006). Suggested by member Nicoletta Barbarito. This is not in stock so please order your copies from your preferred source. The meeting date for the discussion of this book would be Wednesday, December 7, 2011.